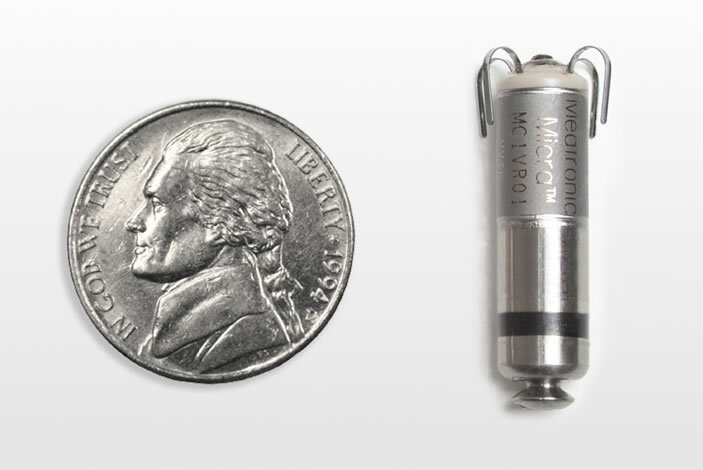 Unlike traditional pacemakers, the Micra transcatheter pacemaker is a fully self-contained, miniaturized pacemaker. Emory Healthcare cardiologists have begun implanting the nation's first patients with the world's smallest, minimally invasive cardiac pacemaker. As part of a single-arm, multi-center international clinical trial, researchers are seeking to enroll up to 780 patients at approximately 50 centers, including Emory, to study the Micra Transcatheter Pacing System (TPS). 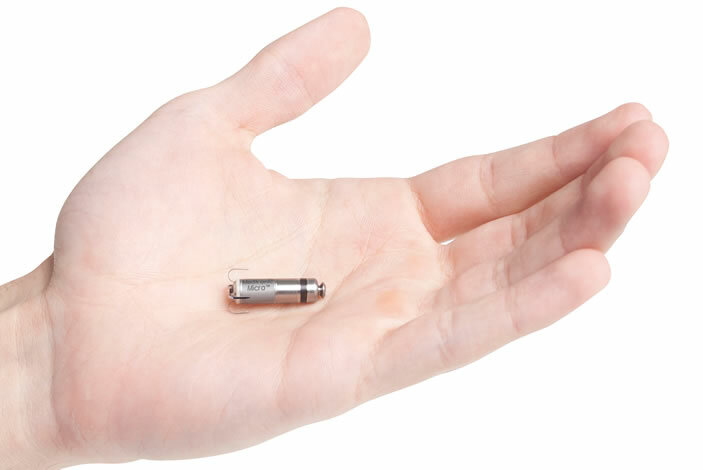 The tiny device, approximately one-tenth the size of a conventional pacemaker and similar in size to a large vitamin, is the first to be implanted in Georgia and among 13 that have been implanted in the United States to date. During the procedure, the pacemaker is delivered through a catheter inserted in the femoral vein to the inside of the heart. Once positioned, it securely attaches to the endocardial tissue of the heart wall and sends electrical pulses to the heart through electrode tips whenever it senses an abnormal heart rhythm. Unlike conventional pacemakers, the Micra TPS does not require the use of wires, known as "leads." These leads, threaded through blood vessels to connect to the heart, are sometimes the source of medical complications. "Because the Micra TPS does not have potentially dangerous leads that can cause infection, vein injury and other issues," says Emory site principle investigator Michael S. Lloyd MD, associate professor of medicine, Emory University School of Medicine, "we are hoping to see if it may be a safer alternative for the more than half a million patients worldwide who are implanted with pacemakers each year." Lloyd implanted the first Micra TPS at Emory on April 21 at Emory University Hospital. 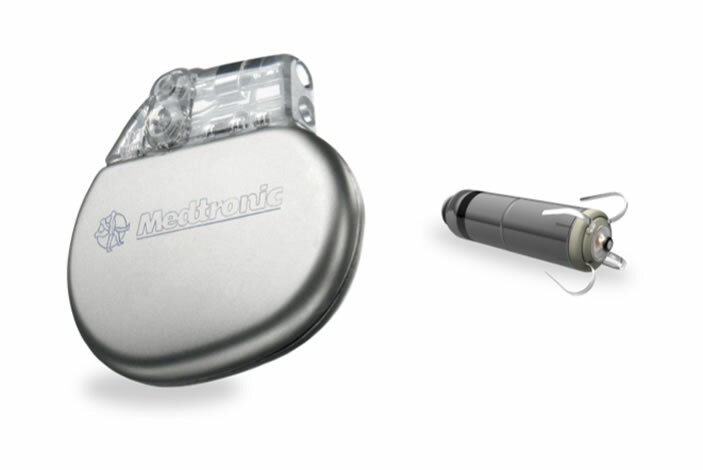 Another important difference between the new device and traditional pacemakers is that implantation of the Micra TPS does not require a surgical incision and the creation of a "pocket" under the skin. 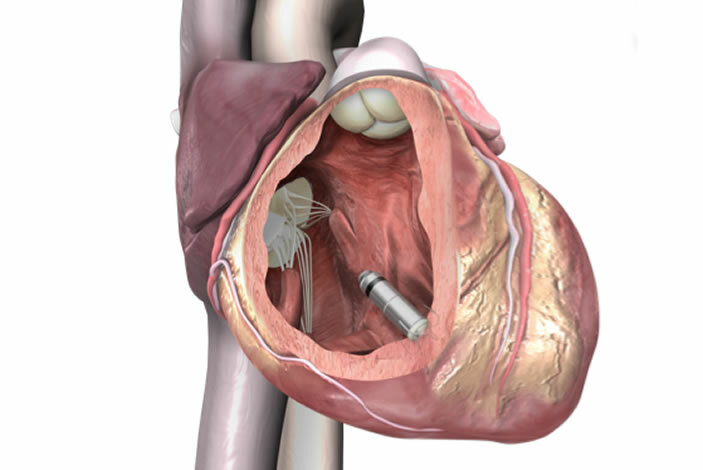 Conventional pacemakers require a more invasive surgery. "By not creating a pocket and implanting a rigid device directly below the skin, it eliminates another potential source of complications and any visible sign of the device," says cardiologist Mikhael El Chami, MD, assistant professor of medicine, who has implanted two patients at Emory University Hospital Midtown. "This could ultimately improve patient comfort and satisfaction, as well as safety." The Micra TPS is an investigational device worldwide. Initial results from the first 60 patients, followed up to three months, are expected in the second half of 2014.